This lovely room has a combination of two toning fabrics with large & small windows being treated to a different style dressing. These large garden patio doors have a shaped pelmet over cartridge headed curtains in a smart contemporary large print fabric. 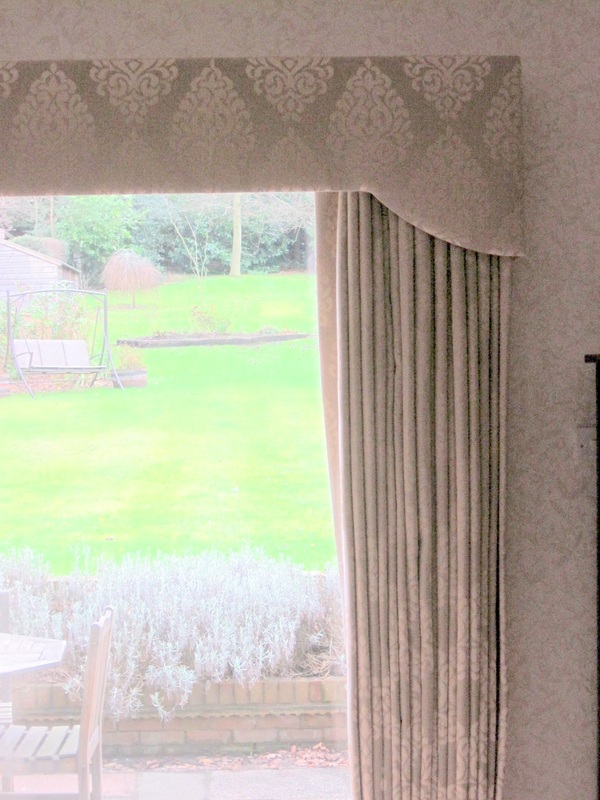 The result is stunning; traditional yet contemporary due to the simple shaping of the pelmet combined with this fabric. 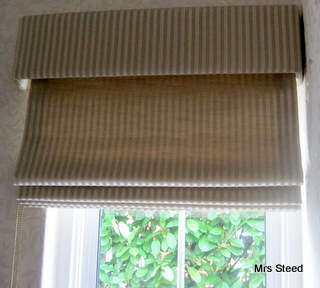 Elsewhere in the room a window is given a different treatment of a straight pelmet with roman blind in a striped fabric with the same colourway (see roman blinds). 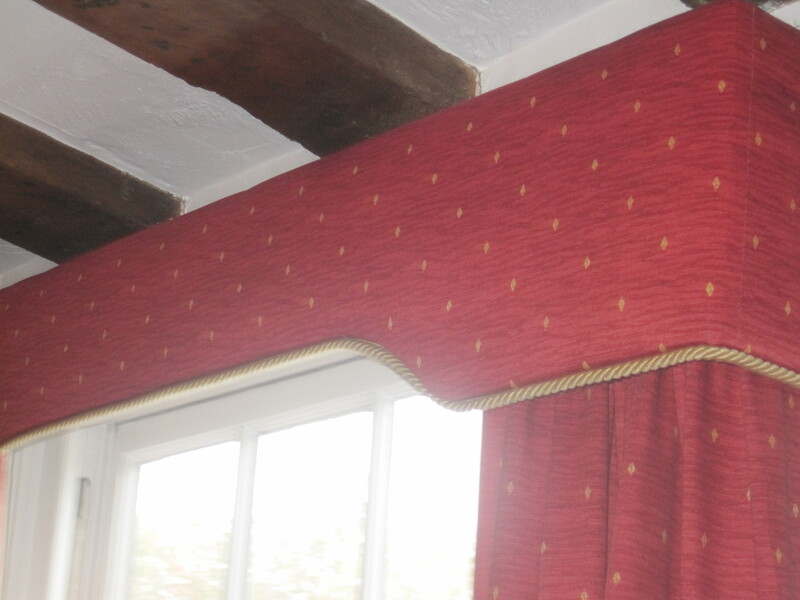 The shape of these pelmets was copied from the original ones that were in the house when the new owners moved in. The old ones were a little wavy with age as they were made out of a stiffener called ‘Buckram’ whereas these are upholstered on a lightweight board called ‘Essex’ board. The shaping is highlighted by the gold edge braid. 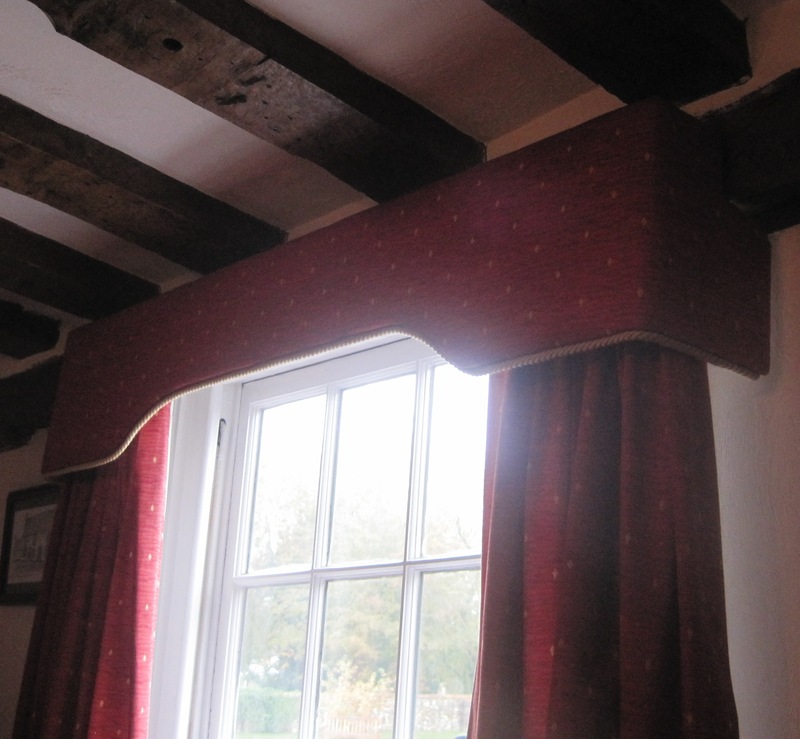 A wider view of this pelmet which is one of a trio in a lovely listed building dating back to circa 1500.